Picture this: you sit down to a meal at your favorite restaurant. Of course, you have a tried-and-true selection on the menu, and you’ll probably choose that. Imagine if the waiter read the daily specials to you one visit, then didn’t the next. The same service inconsistency in the service drive happens when the walk-around isn’t used properly. At its core, it’s about building trust. The waiter takes your order, smiles, and takes your menu. It won’t be long until your meal is on the way. One table over, the waiter seats someone else. The menu is provided, then the waiter launches into the chef’s special, meal recommendations, wine pairings, and appetizers. How does that scenario strike you? Most likely, you’re a little irritated that you weren’t given options in the same way. While your filet mignon will still be butter soft and delicious, there’s a sour taste in your mouth for the experience as a whole. How Does It Relate to a Service Walk-around? Of course, the service advisor is the waiter. The experience can be friendly, professional, and expedient, all of which are good things. But when the experience is different from time to time, or from customer to customer, it damages customer relationships. The phrase “Every Customer, Every Time” has little to do with the selling aspect of a walk-around. It has to do with a consistent experience for all your service customers and, most of all, building trust. How can you sincerely advise a service customer that their vehicle is due for a tire rotation, wheel alignment, or requires a transmission fluid change if you haven’t completed the walk-around? An interactive walk-around supports evidence-based selling, which builds trust with the customer. 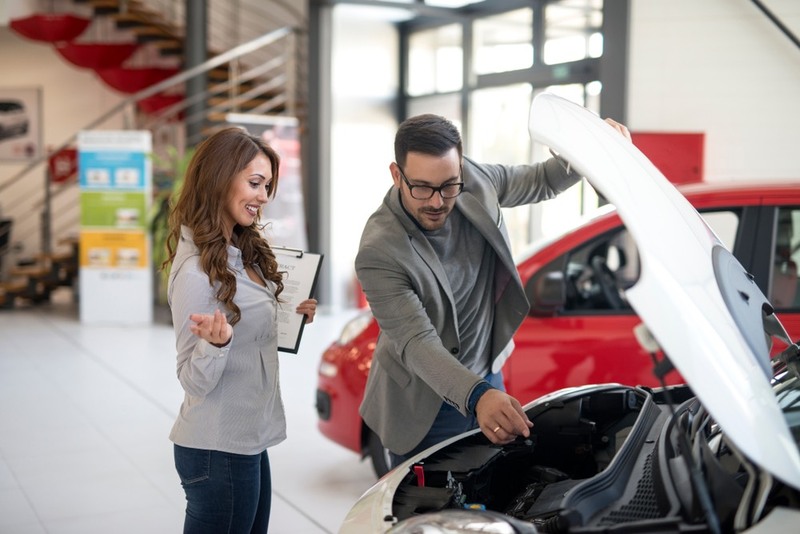 Once a customer knows that every time they visit your service department they will be involved in their car’s walk-around, it becomes indisputable that your recommendations are in their best interest. But if you skip the walk-around every so often, or it’s no longer part of the check-in routine, customers notice. They wonder why the service they’re receiving isn’t as good as it used to be. Worse yet, it isn’t as good as elsewhere! The service walk-around shouldn’t be an option, nor should it be used primarily as a selling tool. Its purpose runs much deeper: to foster a trusting relationship with customers through a consistent service experience. CPI offers the auto industry's most interactive service walk-around training and hands-on service process implementation for your dealership or dealer group. Put our knowledge and skills to work for you - contact us today!